It’s also a town in Illinois and a style-setting in Microsoft Word. But beyond that? Really, what exactly is normal? Roget’s New Millennium™ Thesaurus suggests these synonyms: usual, regular, ordinary, typical, commonplace, and run-of-the-mill. I don’t know anyone who aspires to be any of that! You really, truly think it’s important to change. So you keep trying. And now you’re really stuck because you’re trying to be someone you’re not. 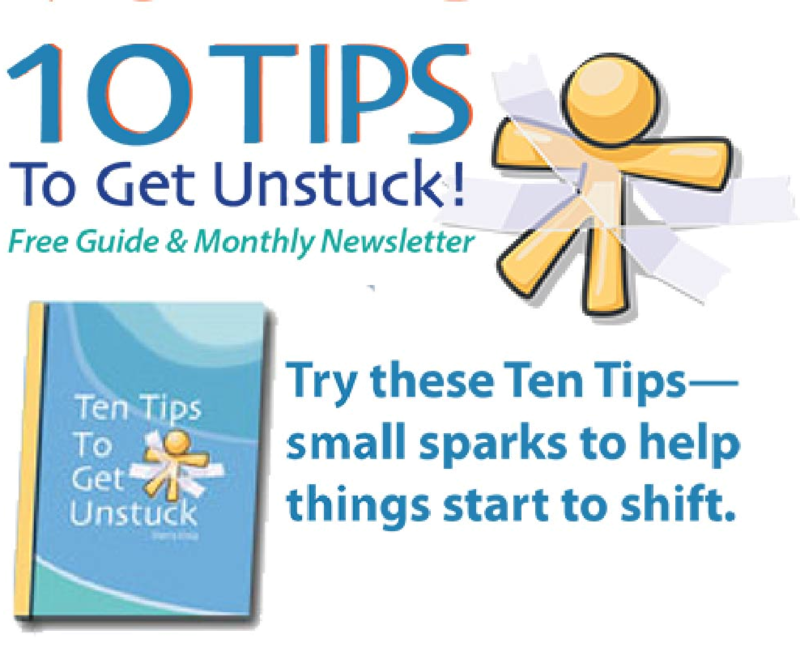 One of the keys to getting unstuck is acknowledging and embracing who you are – quirks and all. In this case, you got stuck trying to be someone different, but it’s applicable to almost any case of stuck. It doesn’t matter what works for anyone else; they aren’t you! My client Barbara got caught in this trap a few years ago when she mentioned she’d been working on self-discipline and miserably failing. She is smart, successful, motivated, energetic, and extremely creative: not the typical profile of someone suffering from self-discipline issues. “What has you feeling undisciplined?” I asked her. Who hasn’t fallen into the trap of thinking you’d be better if you were more like the super-organized, easy-going, or charismatic person down the hall? Don’t get me wrong. I believe change and personal growth are critical to success and happiness – that’s why I do the work I do. But change is good only when it’s in service of being the best version of you. Otherwise, you become a square squeezing into a circle. In fact, it’s more than okay; it’s what helps her thrive. Not only are they still beautiful, they wouldn’t survive if you straightened them out to look more normal. The same holds true for you. ← Got Energy Leaks? Undoubtedly Yes!